Interested in gaining real-world experience while working to protect Maine lakes? 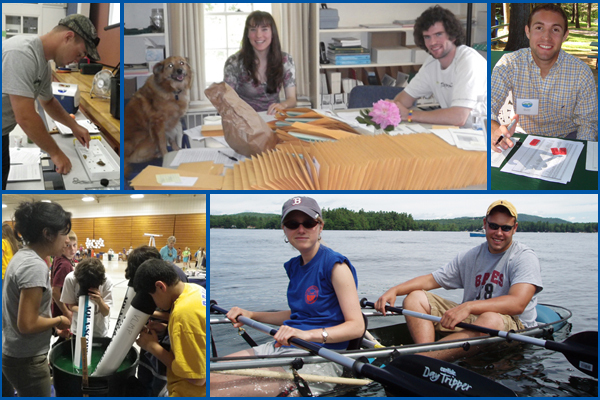 Lake Stewards of Maine (LSM), a non-profit providing training and support to volunteers interested in monitoring the health of Maine lakes, is seeking interns to help during our busy summer season. Interns will work closely with LSM staff and volunteers assisting with workshops, events and office support. Workshops cover water quality monitoring, screening lakes for invasive aquatic plants and watershed assessment training. The position involves occasional travel, (including possible overnight trips) to various locations across Maine. We seek candidates who have an interest in, or experience with, environmental education, biology or related field, AND/OR a communications background with a focus on video production, social media, marketing and/or advertising. • Critical attention to detail and accuracy is absolutely essential! Interns will be paid $11.00 hourly, and will need to be available on several weekends and evenings during the summer, with the possibility of an occasional overnight trip. Position is based in Auburn, Maine. Interns are responsible for their own housing and transportation. LSM will attempt to assist with securing lodging, if support is needed. Candidates should possess a clean, valid driver’s license. How to apply: Contact the LSM with a formal letter of interest, your resume, information concerning your availability, and how you learned of the LSM. If you apply via email with attachments, please include your name in the file name of your documents (example: JSmithResume.pdf). Be prepared to provide three references. No phone calls, please. Please click here for a printable version of this internship.